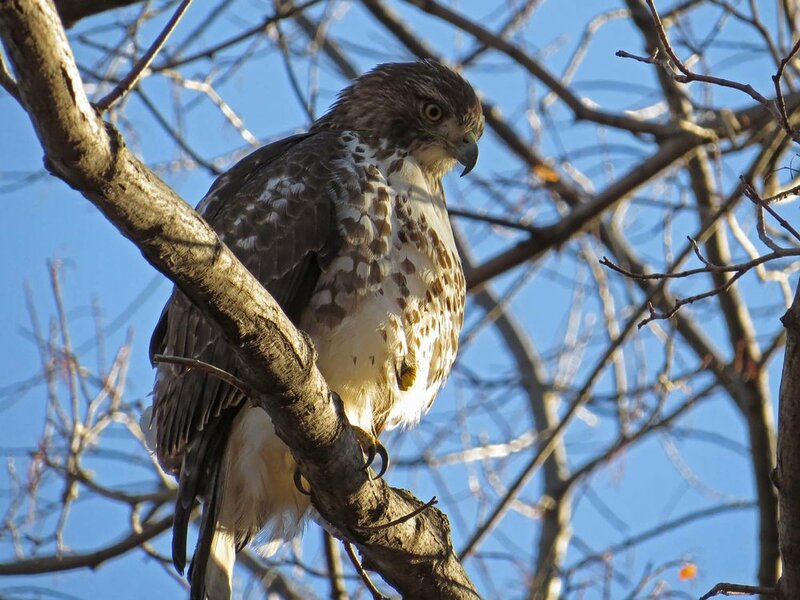 We had a gorgeous Christmas Day, a perfect time to walk in Central Park and find red-tailed hawks. 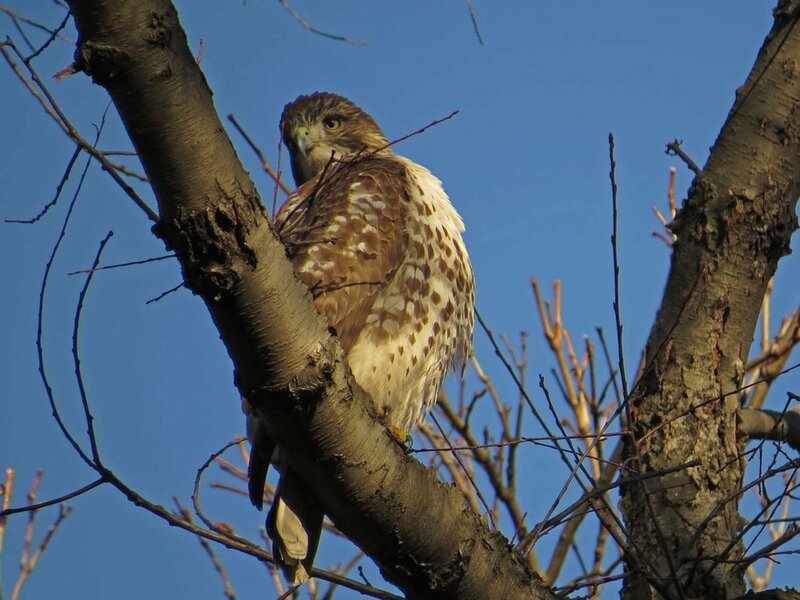 We were so happy to chase one first-year youngster around the Ramble, and then thrilled to see Octavia north of the Met Museum and Pale Male just south of the Reservoir. 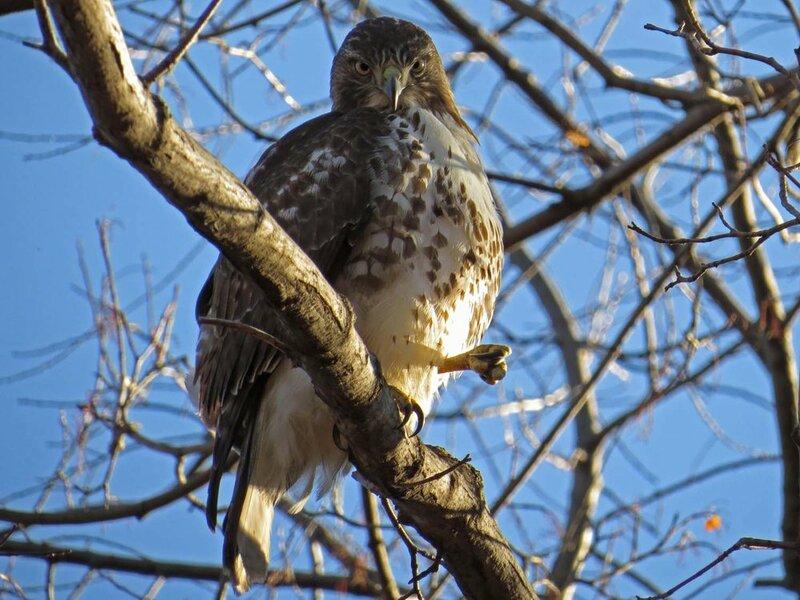 The Chasing the Hawks in Central Park video I titled I Saw Three Hawks Come Sailing In on Christmas Day, on Christmas Day. 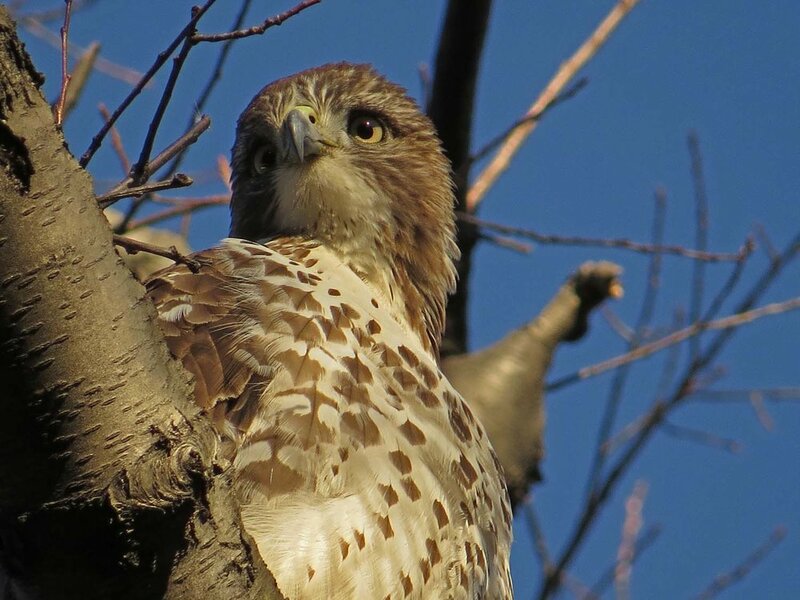 It is always fun to photograph Pale Male. 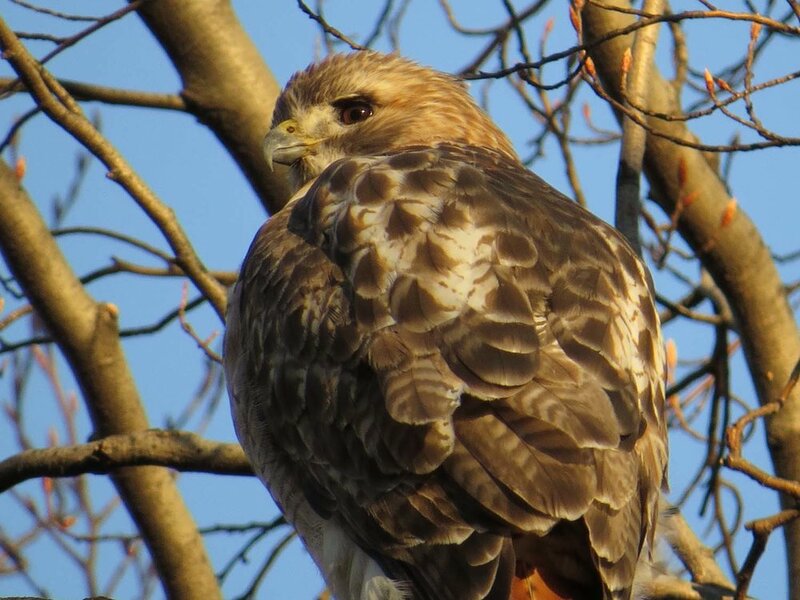 I love photographing hawks on sunny days. These photos of the youngster made me happy. 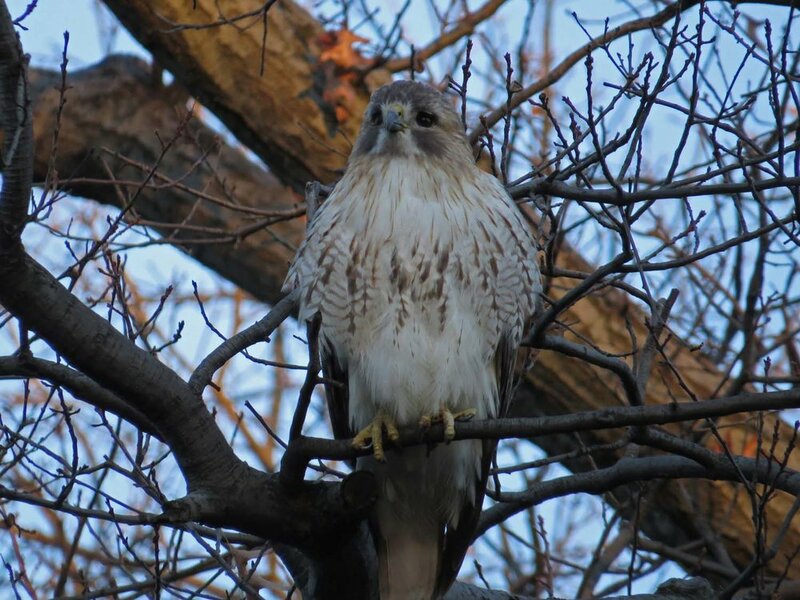 The first photo below is of Octavia, high in a tree north of the Met Museum. 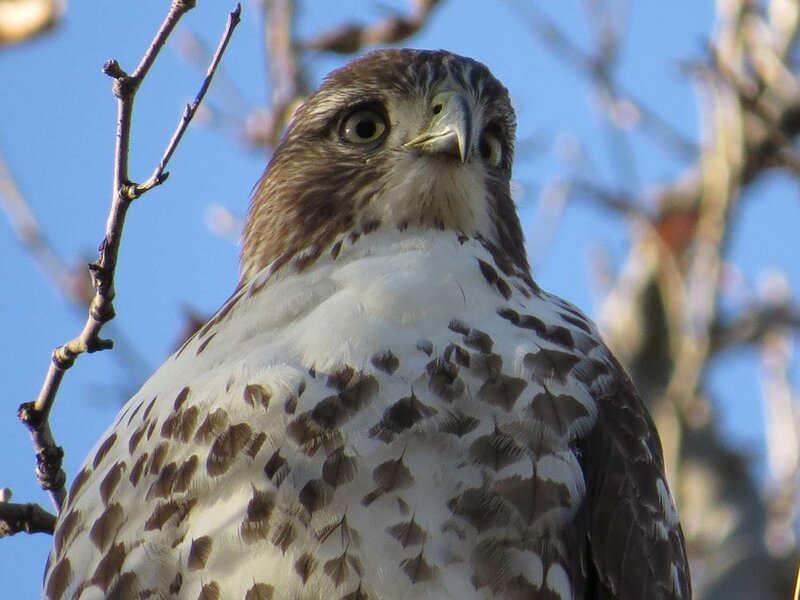 The rest are of Pale Male, first south of the Reservoir, then on top of the Met Museum, then just east of the obelisk.